Hunched over a large gray Lenovo laptop in the Ojai Valley School robotics lab on a recent afternoon, senior Leo Liang banged out a line of crucial code: PathSegment .generateTurn. Angle: -20. Power 0.7. To a person with limited knowledge of engineering and robotics, the code most likely would be incomprehensible. But to Leo and his fellow tech fanatics, it’s the driving force behind one of robotics team’s greatest achievements: a six-wheeled, silver-plated, 24-pound robot that goes by the name of Spudnik. 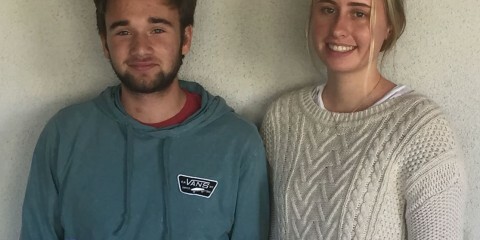 Spudnik is the product of years of hard work and dedication by Ojai Valley School Robotics Team, which was launched four years ago and has this year emerged as a mighty force on the robotics scene. 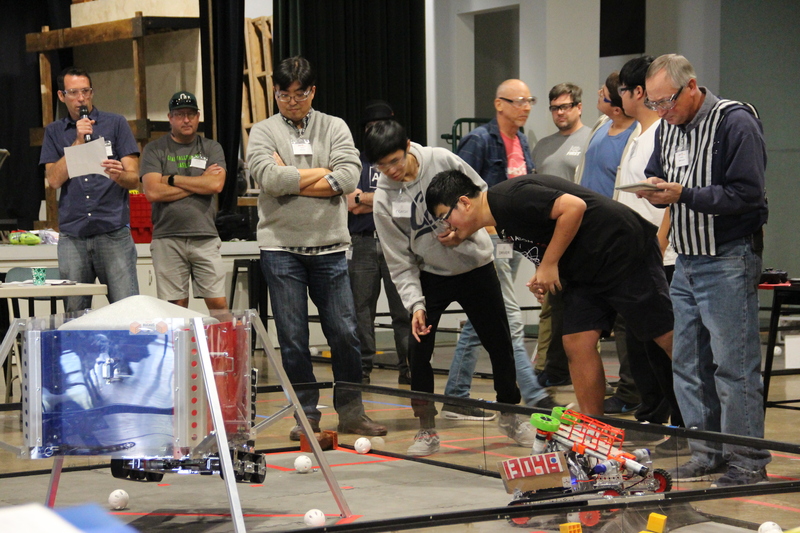 In its first three years, the robotics program at the Upper Campus earned just one victory — and that was in a preliminary “Meet Zero” last year, which doesn’t count as an official contest. This year, however, OVS robotics is on a roll. 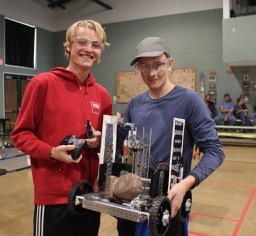 OVS robotics teams — there are two of them, Spudnik and Spudbot — have combined to win all four league meets this school year, including a victory earlier this month by Team Spudnik, which took on and defeated teams from five other schools in the latest League V FIRST Tech Challenge. Now that the last league meet has been completed, the robotics competitors are gearing up take part in an inter-league contest in Palmdale in mid-February, where they will vie for the opportunity to compete at the state regional. Do well there and they can earn the right to compete in the state meet and beyond. 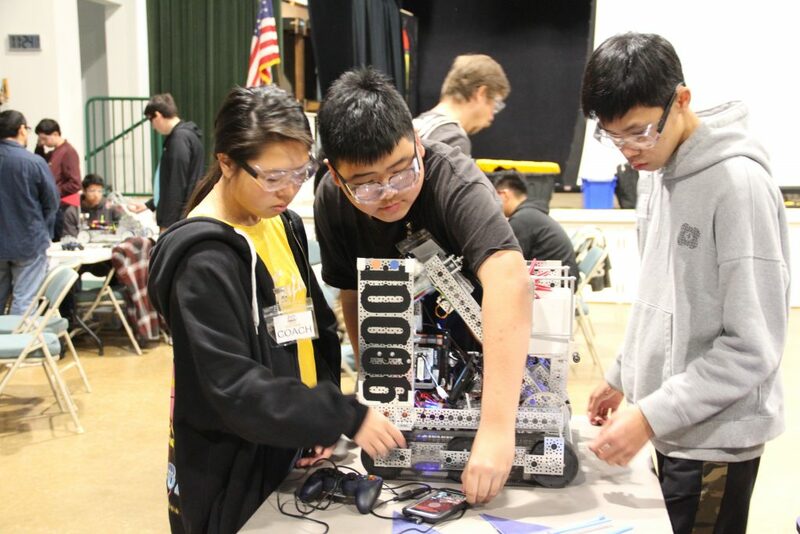 For OVS, the recent string of dominating performances is all the more remarkable given that they come a year after the program suffered devastating losses when the Thomas Fire destroyed the Lucila Arango Science and Technology Center, which housed all the robotics equipment and creations. That fire, in early December of 2017, destroyed and damaged other parts of the campus as well. 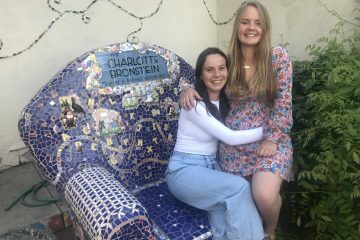 The girls’ dorm burned to the ground, the ceramics studio was gutted and the headmaster’s house was so badly scorched that it had to be demolished. But for the robotics team, the loss of the science and technology center hit especially hard. “There was nothing left of robotics except for a few screws I accidentally brought back to my room in my pocket,” said Leo, who was so moved by the experience that he wrote about it in his essays for his college applications. Like many who saw the science and technology building reduced to ashes, Leo said he cried when he learned that the robotics equipment had been destroyed. But while the fire stripped away their lab, robots, and equipment, it did not touch the team’s perseverance and grit. Leo’s robotics coaches and teammates echo that sentiment, agreeing that the fire in many ways served as a turning point for the program. 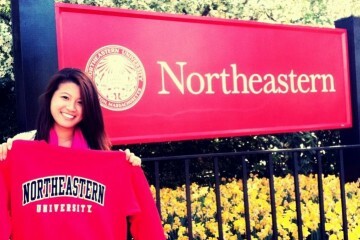 Rebuilding the program was much different than starting it from scratch, team members said. They knew much more about coding and robotics design the second time around. And they had veteran experience that post-fire made it much easier to program and prepare for the games that are prescribed each year by the FIRST Tech Challenge. Most importantly, post-fire the robotics team members were bonded by a resolve to re-create what was lost. Indeed, it’s amazing how far OVS Robotics has been able to come in just a year. Equipment has been replaced and students have dedicated countless hours — after school, on weekends and various other free time — preparing for league competitions. For the first time, those league meets were hosted this year at the Lower Campus, and have drawn interest and support from the OVS community and beyond. Teachers, students and parents from Upper and Lower have volunteered to staff those meets, taking on a variety of jobs necessary to bring them about. And now, with the last league meet out of the way, it’s crunch time. Led by Mr. Wescott, and aided by physics teacher Micah Sittig and calculus teacher Rosalynn Wolfe, the OVS robotics squad will now go on to compete Feb. 16 with teams from across Southern California at an Inter-League Tournament in Palmdale, with top-ranked teams advancing to compete in a state regional meet. Team Spudnik — who in addition to Ivy and Leo consists of seniors Jacky Cai and Vincent Wang, junior Gary Zhou and sophomore Ethan Gao — will be there. So will the school’s second robotics team, Spudbot, which won the final league meet of the season. Spudbot is made up of seniors Conway Gilbreth and Niklas Weckerle, juniors Angela Qu and Siyu Lai, and sophomore Mark Pindur. Based on points and wins throughout the season, Spudnik is the top-ranked team going into that inter-league competition and Spudbot is ranked seventh. 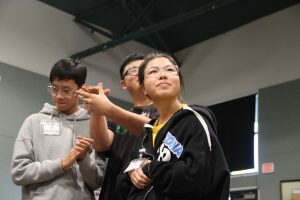 Top-scoring teams at the regional meet will advance to the state robotics competition, vying for the right to advance to a national competition, with the winners of that taking on teams from all over the world. Leo says he expects the OVS squads to do well at the inter-league meet. But regardless of how those competitions pan out, Leo said he is proud of what the robotics program has accomplished in its short existence, especially this year given all the adversity it had to overcome.